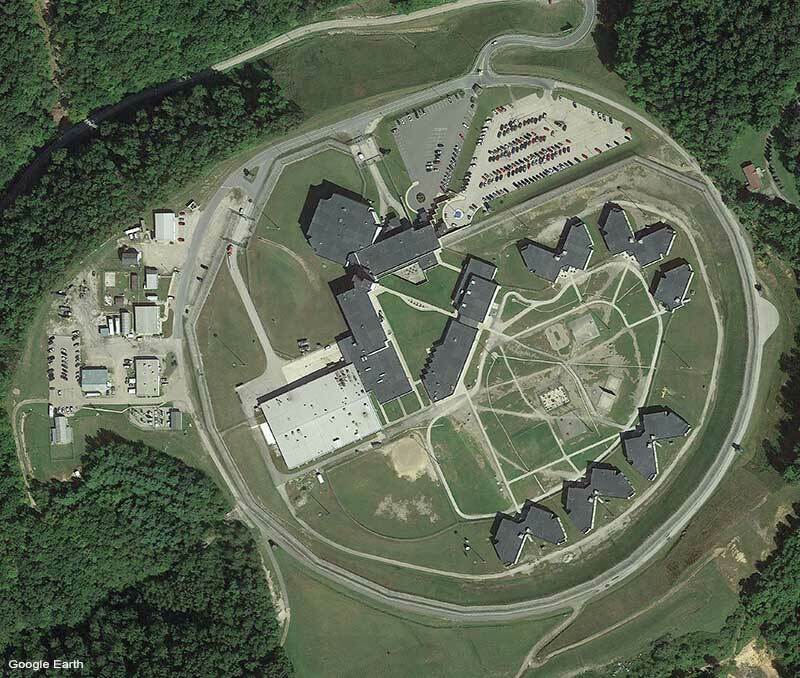 Through a wonderful provision of the Lord, Appalachian Bible College has the opportunity to provide accredited classes to the 2000+ inmates at the maximum security Mount Olive Correctional Complex in West Virginia. As the third program of its kind, Mount Olive Bible College is bringing the Light of God's Word into a dark and needy place. Little did I know how God was designing those minutes. As Commissioner Rubenstein sat down in my office, he quickly posed this question, “Will you start a Bible college in the prison system of West Virginia?” That opportunity was nowhere on our radar screen of strategic planning. But that day, I sensed the call of God and saw the hand of God like nothing else I have ever witnessed in my 35 years as President of Appalachian. With no restrictions and with urgent invitation to start immediately, we began the arduous task of designing a Bible college opportunity for our prison system. Our plan called for classes to be offered beginning in September 2014 with 26 students. The details of God’s provision of needed personnel, facilities, and funding to initiate this ministry were miraculous. Hours of planning and tailoring were required by our Vice President for Academics, Dan Hanshew. The convocation celebrating its beginning brought hundreds of leaders throughout our state together as we embarked on moral rehabilitation for these inmate students using our Appalachian Bible College curriculum. The impact has been overwhelming! Prison employees have noted how different the atmosphere of Mount Olive is. Students are serving in a variety of ways, from working with the chaplain to directing Bible studies, and even giving spiritual assistance in the medical ward. In the summer of 2016, the first ever revival meeting was held at the complex with an average of 180 inmates in attendance. Our students assisted in these meetings, providing music, caring for set up details, and offering guidance as thirteen men trusted Christ as Savior! In fact, a baptismal tank was set up in the prison gymnasium for these new believers who are now being discipled. In 2018, MOBC reached its largest enrollment so far: 40 full-time students! Twenty-one of these became the first graduating class and received their bachelor’s degree in Bible/Theology and Pastoral Ministry during a January commencement service. 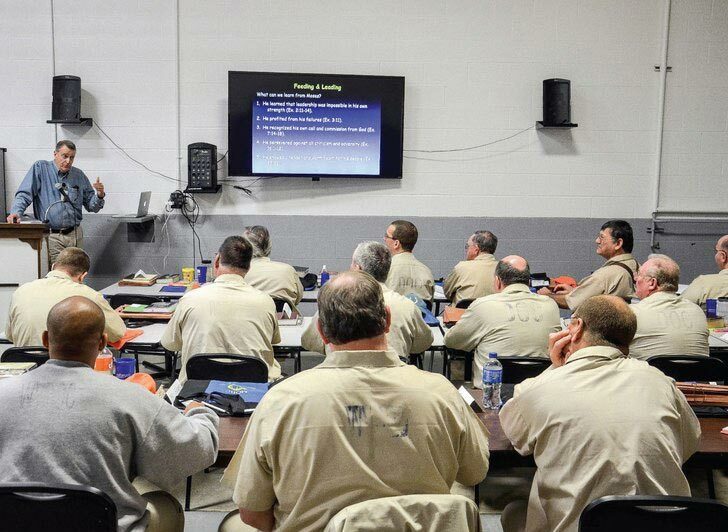 Appalachian Bible College will be providing over $500,000 in tuitional expenses for these inmates this year, an investment well proven by the change we have seen in students' lives and the impact it has had on the entire prison. Would you prayerfully consider investing in this amazing ministry and helping us raise $180,000? Who would have ever thought that God could use a bunch of convicted felons to reach lost men by putting a Bible College in the middle of a maximum security prison? In this environment there are hundreds of men who feel that there is no hope and no second chance at life. I have witnessed the first revival in the history of Mount Olive Correctional Complex, an event that otherwise would have never taken place without the intervention of an almighty God. We are blessed to have support from so many people… It has also been a blessing to have the support of Appalachian Bible College in this endeavor as well as their many years of service to Mount Olive Correctional Complex. Mount Olive Bible College has sparked a new hope and ambition in my life and has shown me that we can reshape our world; we can change lives. Every man, regardless of their past, can share in this hope. I thank God for the opportunity that I have been provided. The Bible College at Mount Olive is a tremendous blessing to me. I have found a focus and purpose for my life that I previously did not have… The Bible College is equipping us with the understanding and knowledge of God’s Word and a confidence that allows us to spread the word to others effectively. As Christians, we can see the change that is taking place as many of the lost in the complex come to know Jesus as their Savior. The Bible College is helping us make positive changes in our community, as we mature into men of God and capable leaders. I am grateful to everyone that has contributed their time, work, and resources to make the Bible College available to us, and I am thankful that I have been given the opportunity to receive training that will help me be a better servant to Jesus Christ. What can I say about this blessing? This program has given me purpose and meaning to my life. I truly believe that God has called me to minister to others… By surrendering myself to the sovereign God, I have the absolute most effective answer to the crime problem in America—the blood of Jesus. I know this because after six different incarcerations, I know I’ve been changed deeply from within. As I write this now, seven years in to a forty-five year sentence, I am able to proclaim that I am a blessed man. Thank God for ABC. Thanks to several fantastic professors from Appalachian Bible College that have taken precious time to come to prison and teach us inmates, my knowledge and understanding of God’s Word has increased tremendously… Mount Olive Bible College and great people like Mr. Sprigg have helped change my life spiritually in ways I never thought possible. My witness is much more effective because my relationship with the Lord is much more intimate… My family all talk about the change that they see in my life and they are very grateful for Mount Olive Bible College and those affiliated. The Bible College is certainly a life-changing experience. Thank you with all my heart and much love. Ever since I have been in this College I have learned so much. It has been so good to be around my Christian brothers and prepare for the ministry God has called me to. Now I play piano for our class and get to help minister music to the praise and glory of God. Thanks to Appalachian Bible College my life is certainly on the right path in Jesus Christ. I know God is preparing me for the future. This is a true tool that is being used by God. It is a true blessing and has taught me who I am in Christ. Jesus is number one in my life.